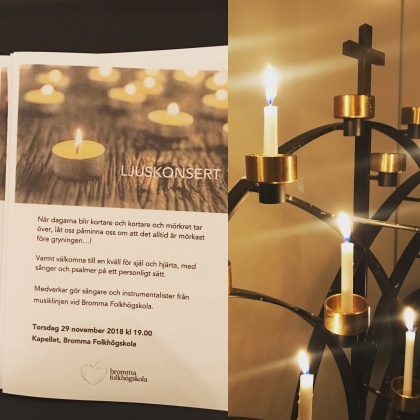 To honor the Light I arranged a Concert for Light this past Thursday at Bromma Folkhögskola. My student singers got to choose music for heart and soul and performing the music in their own personal way. The concert became a moment for the inner self and for all thoughts and feelings running through the body and mind. Thank you all performing for your dedication to this project and concert! Andreas Forsman, Joakim Holgersson, Kerstin Thörn, Hannah Holgersson, Anna Manell backstage att Stockholm Waterfront. The last week has been filled with various music and musical meetings! I'm feeling blessed to live my dream combining all these ways of expression; through my voice, through teaching and inspiring new talents and through entertainment! 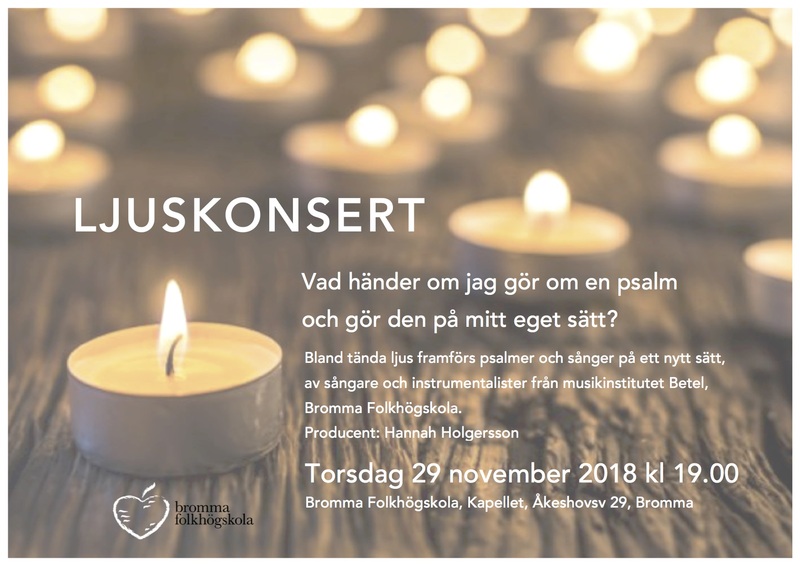 This past Wednesday I had a great morning at Bromma Folkhögskola, first talking about self-confidence versus self-esteem with music students, then having vocal coaching with the theatre students. 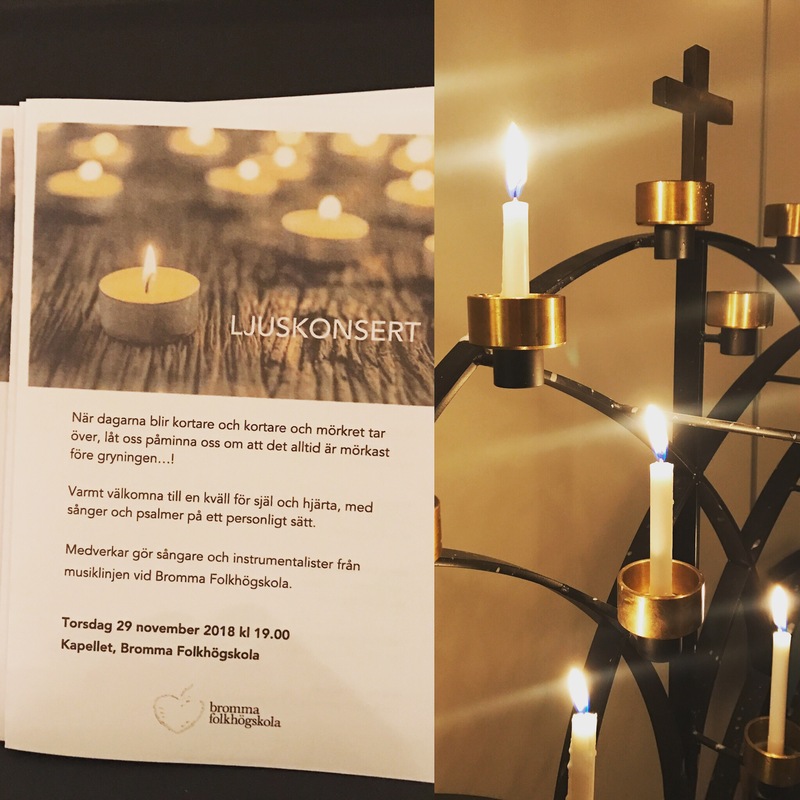 The rest of the day I spent at Stockholm Waterfront, soundchecking and rehearsing for a gala event produced by Lundström Event. I was lucky spending my day with such great and fantastic musicians and dancers! 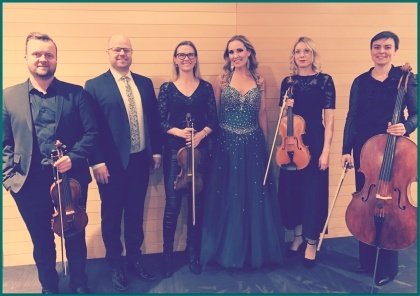 Joakim Holgersson (piano and music producer), string quartet (Kerstin Thörn, Andreas Forsman, Anna Manell) and Hector Lopez (dancer and choreographer) with co-dancers. Thank you Tommy Lundström, Suzanne Lundström and Helena Wallman at Lundström Event for a fabulous night! 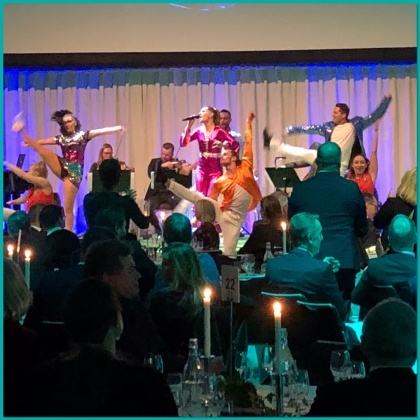 Hannah Holgersson with dancers performing ABBA at gala event, Stockholm Waterfront. Film, photo and layout by Lars Köhler (2017). Salomos Sång (Song of Solomon) by composer Benjamin Staern. Musicians: Hannah Holgersson, soprano; Staffan Scheja, piano; Christian Svarfvar, violin; Hanna Dahlkvist, cello: Magnus Holmander, clarinet. Barcelona (Queen) performed by Peter Johansson and Hannah Holgersson during the Champions of Rock Tour 2017. Listen to the song HERE!